As far as I know this is the first Fourth of July (and I learned not to call it July fourth, to avoid endless teasing by the Americans onboard) I've spent in the States. In the afternoon I went to WalMart with the ship's cook to buy some provisions for the barbecque we had onboard! 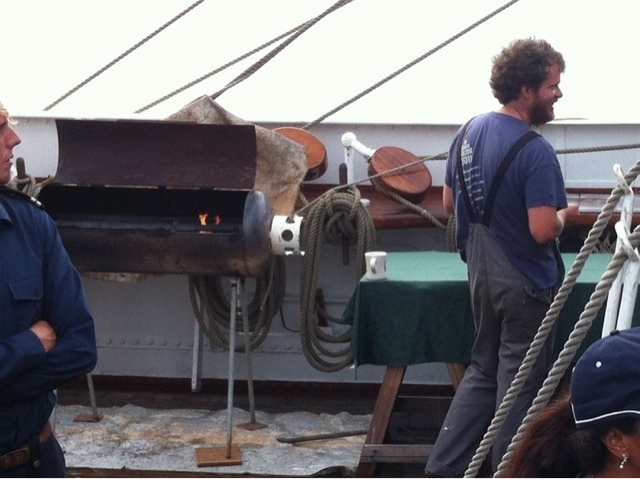 That's right, we have a barbecque on the ship! 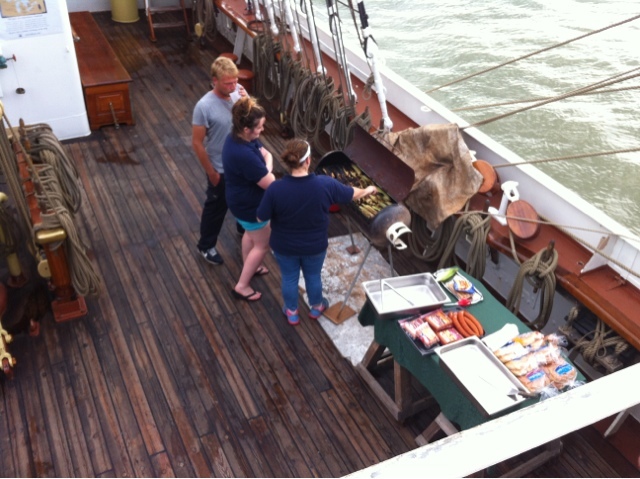 Once open ship was over for the day the barbecque was set up on the main deck and the Chief Engineer took on the task of grilling dinner for around 25 crew. Our cook, Jess had a well deserved "easy" night and stood by to monitor doneness of burgers, hot dogs and corn on the cob. It was a party atmosphere on deck! 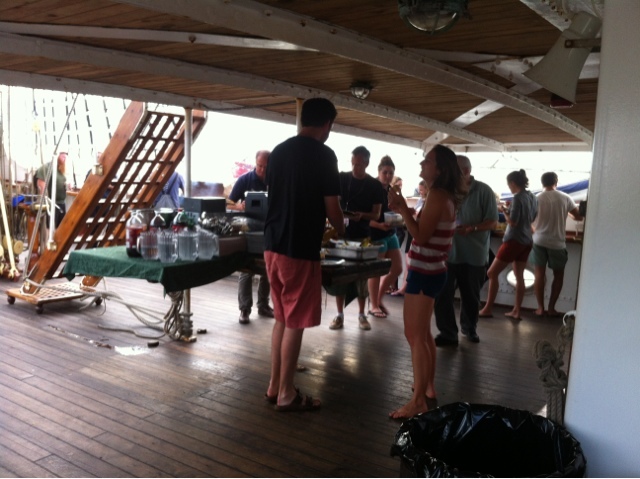 Portable speakers were found and music played as we all had a chance to relax and socialise together - something that doesn't often happen with the ship running 24/7. 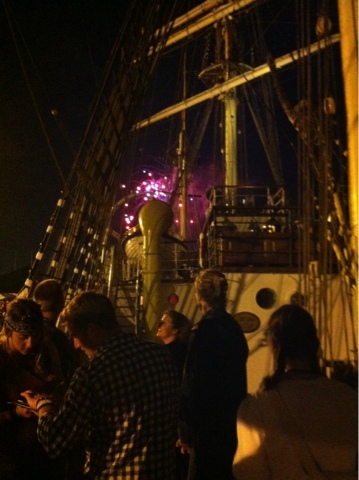 Later that night we watched fireworks off the bow as I started my night watch.